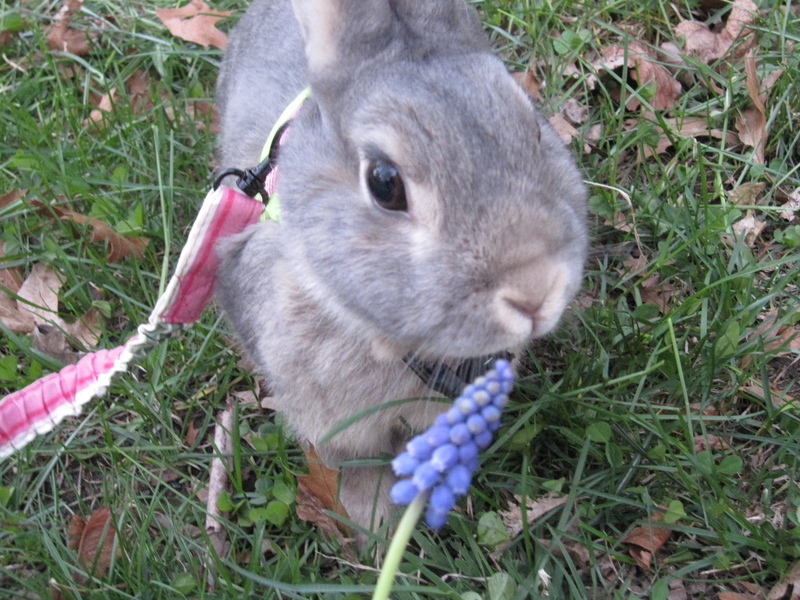 I took Bunny out Saturday late afternoon. She loved it. I wish I had better photos of her but she was moving around and running on the lawn so all the shots were blurry. It was dusk so the shots I took with the flash were weird looking plus she gets some crazy zombie looking eyes with the flash. Blurry photos aside, I have a feeling she will be out a lot this summer. 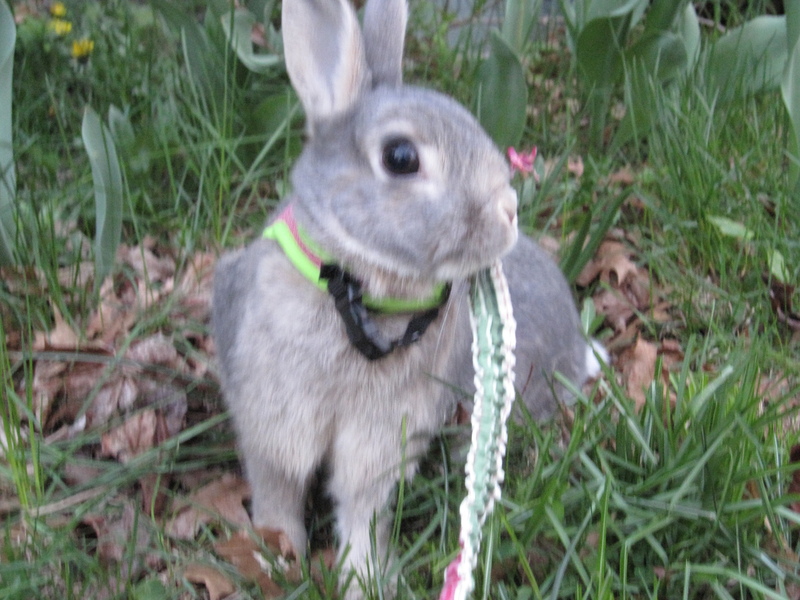 Rabbits are cool if they can go outside. I guess the red eye night vision shots made the bunny look a bit like General Worzlewort from Watership down. My brother and I were transfixed by that movie when it came out… “bright eyes, burning like fire”! At the time many farmers were considering mixamatosis drops to stop the spread of wild rabbits on farmland. Brings more meaning to Art Garfunkel’s beautiful song. Ewwww. 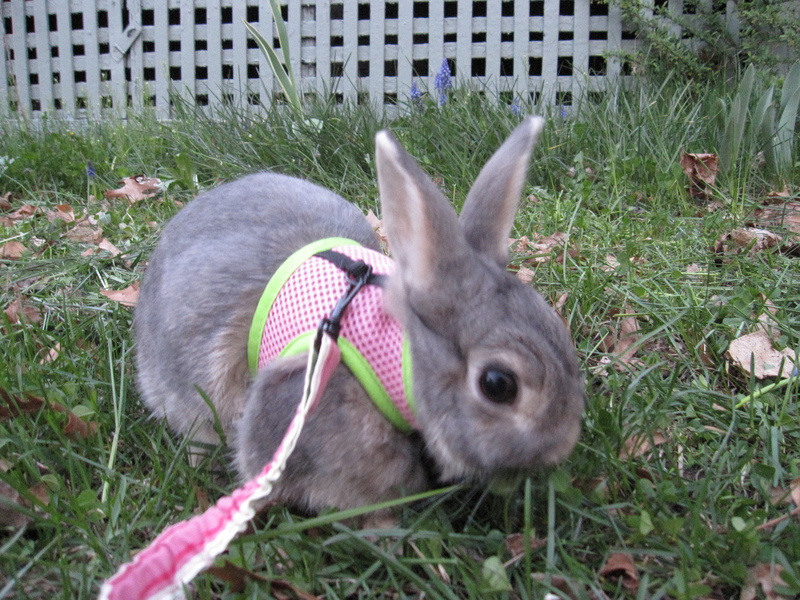 Sorry, this is probably NOT what a rabbit owner wants to think about. i laughed out loud when i imagined the argument you describe the rabbits would have! !